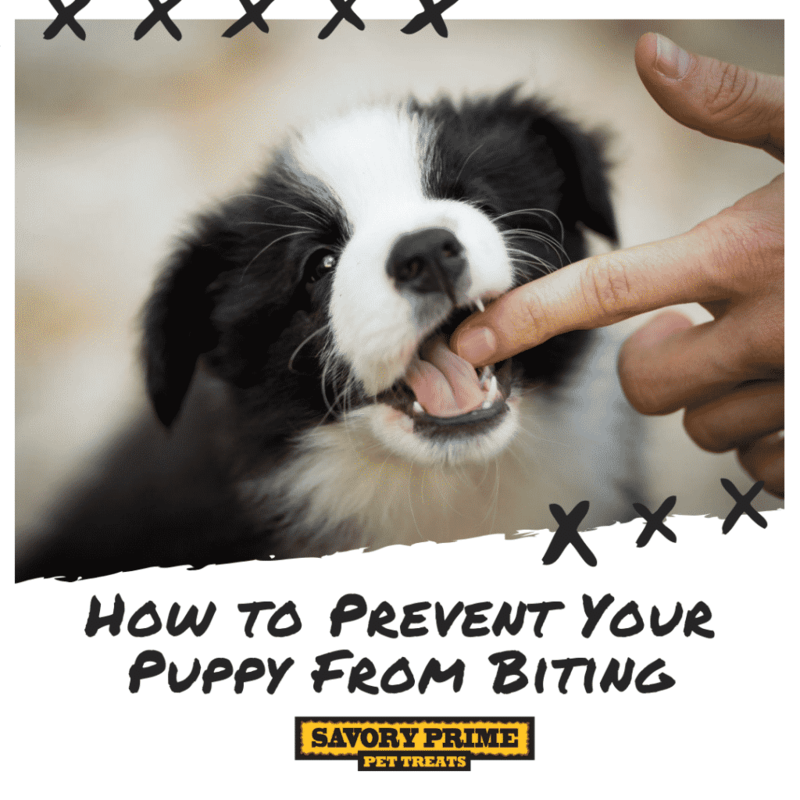 Today on the Savory Prime Blog, we discuss our tips and tricks guide on how to prevent a puppy from biting. Puppies’ mouths are filled with about 28 teeny-tiny razors. 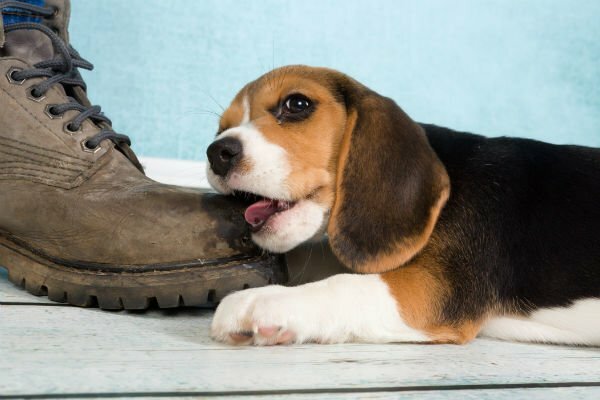 Tough annoying behavior, this is something that’s completely normal for teething, playful puppies and something you can train away with these few steps. 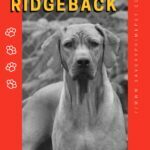 Teach your puppy bite inhibition. Puppies naturally nip at each other while playing, and sometimes they don’t realize how hard they’re able to do this without hurting the other dog. 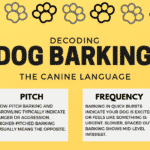 If they bite too hard, another dog will likely make a loud yelp sound, warning the puppy, “Hey, that hurt!” You can teach your puppy this as well by making a loud, high-pitched “OW” sound if he bites you. Then, make sure to give your dog a treat or verbal praise for backing off. 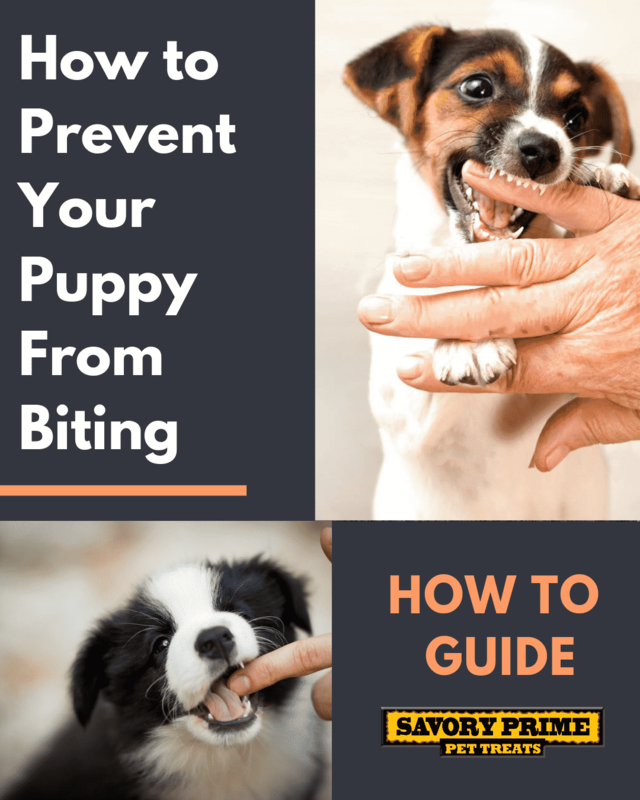 Teach your puppy that biting means “game over.” If your puppy bites you while playing, that means playtime is over, with no exceptions. Do not yell at your puppy. Instead, teach him that biting will get him nothing. Santo suggests turning around and tucking your hands into your armpits. “It’s actually a calming signal and a minor form of attention withdrawal,” she says. Prevent the pounce. 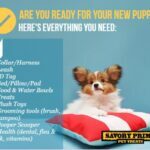 If your puppy is pouncing on your legs or feet as you walk, a common playful puppy behavior,I recommend holding a high-value treat next to your leg as you walk, helping the puppy learn to walk nicely alongside you. This same tactic is used when teaching a puppy to walk on a leash.